NationWide Small Business Funding Solutions! Business Working Capital - Fast Small Business Funding! Join The Thousands of Business Owners That Have Made The Right Choice To Get Funding! Not Locked Into Monthly Payments! | No Collateral Needed! 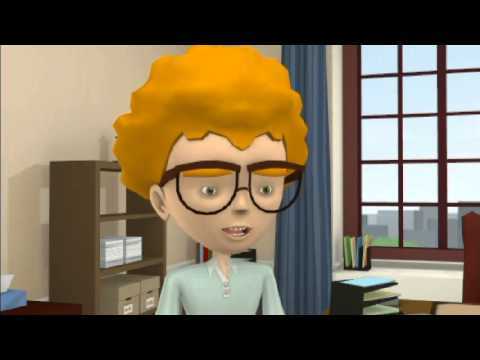 | No Interest Rate! Great For Small Business Owners With Impaired Credit! rolling up our sleeves to understand "Your Story". Funding is approved and based on common sense underwriting! No Hassles - Quick 1 Page Application & Fast! No Business Use Restrictions On The Funding! No Impact To Qualify For Other Financing! No Monthly Checks To Write! Use For Any Business Purpose! Small business owners looking to raise capital for their own business and need working capital and cash flow for day to day business operations, we can help! BRT Financial can help you with the right type of funding for small businesses nationwide! BRT is a wonderful full service financial company offering many options for all your financial needs. They helped me immensely in obtaining the working capital funding I needed for my medical practice. Thank you! A professional and creative company and was instrumental in keeping our practice alive during some of the most difficult cash flow fluctuations as a start up. We are still in business today because of BRT's help. Small Business Working Capital Funding for Restaurants and Food Services, Supermarkets and Grocery Stores, Hotels and Motels, Dental Practice, Veterinary Physician Practice, Doctors and Physician Practices, Auto Body Shops, Automotive Repair Shops, Convenience Stores, Florist and Gift Stores, Beauty Salons, Dry Cleaning and Laundry Stores, Nail Salons and Day Spas, Furniture and Home Furnishings Retail and Wholesale, Clothing Stores and more! 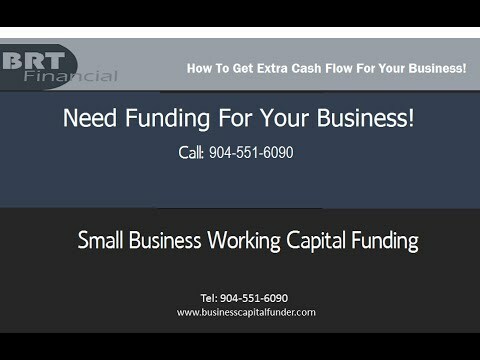 Small Business Working Capital Funding! Getting approved for small business loans for working capital with no assets and not much profitability is a difficult process in this present economic condition of our country. Business short term funding allows business owners to obtain business funding for their business to survive through any financial crunch that comes up for Alternative Financing. This article will discuss the best tips for getting business funds with working capital. Business bank statement funding is valid for any business owner that needs Business Working Capital with free cash flow! Small business loans are extremely difficult to be approved for the small business owner. This often happens when fast working capital funds are required for the small businesses. Most of the credit unions and traditional banks offer Small Business Bank Statement Funding for a very limited number of businesses, the number of business loan applications being approved by local banks today. Along with the unstable economic conditions, the majority of the banks and credit institutions have ceased lending to small businesses. If you are an entrepreneur then it may be really difficult to find out that your company is simply another number for of Business to Business Fast Funding for small business owners. Working Capital is required for every small business owner to make operating cash flow for day to day operations with Small Business Cash Advance for short-term funding to continue its operations. Businesses need funds for expanding, competing and succeeding in their own business. It's important that your customer ought to know that you are offering quality Business Funding and are the most useful option for their cash requirements. But that requires a pristine image of your business which starts with professional marketing practices. The first impression of your business from your customers should be to compel them to purchase choose your service or products from your company and be the best company out there. Expanding your business with a Small Business Credit Card Advance for new and bigger equipment that your business could never afford in the past to help your cash flow cash conversion cycle and return on capital. The key rule of business is to generate a healthy gross profit and work environment to get maximum output from your employees. Remember that it is not just about your customer who would appreciate clean, state-of-art, professional and ready-to-serve products and or services; but your employees as well. Quick working capital with Small Business Loan funding can provide the capital required for prime quality tools and the overall employee turnover can be reduced along with higher efficiency and morale. Small businesses can get quick working capital funding without any credit check or even with a poor credit history. A promising business with significant amount of bank deposits and stability will get fast bank statement funding inside of 48 hours. The capability of choosing a repayment schedule which is for a short term is an added advantage of these cash advance funding. Merchant business cash advances have made it simpler get fast business funds without much hassle especially if you have been turned down by your local bank. However it is important to do proper research about the private lender before applying for these types of short term funds. The internet is the foremost option to identify a reliable and responsible lender for business cash advances, checking with the BBB for any records that may indicate any complaints filed against the lender. There are many online business cash advance lenders so it can easily be really hard to differentiate reliable ones to an online scam. To ensure that you consider the security of your very own data that you can provide while getting business funds, working capital cash advance funds can help your business in a financial crunch and make it easy to handle any future financial troubles. Business bank statement funding is fast and easy business funding that has opened the flood gates for small businesses to get easy working capital funding. With easy repayment options, 100 percent funding approval and quick processing of business cash advance funding are some of the most important benefit of these merchant cash advances. Over the past few years have experienced a global downturn in the economy and funding options have further been cut short for business invoice factoring. When credit unions and financial institutions have ceased lending money for the small business owner, most of the small businesses find it really difficult to get working capital approval. In such situation, business cash advance funds provide easy and quick working capital for small businesses as per their requirement. These funds are known for their quick processing, easy payment options and flexible conditions and easy credit requirements. Business cash advance loans provide an easy funding method for all types of businesses. Small scale businesses do not enjoy great terms with banks and credit unions unlike major brands. They need money for different reasons including further expansion, installing new equipment, inventory requirement, working capital and other similar requirements. Business bank statement advance funding depends on the previous track record of the business bank deposits to show that business is receiving enough bank deposits to pay back the advance! These advances are easily approved and do not require long processing time before giving an approval for working capital cash. Of all, you need to find a reliable cash advance company and the internet is the best way to find trustworthy private lenders. BRT has a goal to help small and mid-sized business owners by providing a simple and convenient alternative to a traditional business loan. Business Cash Advances provides a real solution for business owners faced with the reality of disappearing sources of working capital. Given the current capital markets and lending environment, traditional sources of capital, such as bank loans, home equity loans, and credit card loans, are no longer options for many businesses. hassle free solution for millions of small business owners that need access to immediate working capital and may not qualify for a business loan. We offer several different programs to fit your specific needs. Our business cash advance converts your future credit card receivables into immediate cash that you can use for any business purpose. Read our articles on business cash flow business cash flow! Repayments are based on a small fixed percentage of your future bank deposit receivables. Payments are automatically applied to your remaining balance until the balance is satisfied. Unlike a business loan, our service is aligned with the success of your business: repayments are linked to your daily deposits; we do not get paid until you get paid, thus helping you manage the cash flow of your business, especially during slower months with factoring for trucking companies. BRT has a mission to help little and average sized entrepreneurs by giving a basic and helpful alternative to customary business credit. Our business cash advance program gives a true answer for entrepreneurs confronted with the truth of depleting of working capital cash. Given the current capital markets and the bank lending environment, sources of money, for example, bank loans, home equity loans and credit charge cards, are no more alternatives for small business owners. Our bank statement program on gives businesses a flexible, hassle free solution and bother free solution for a huge number of entrepreneurs that need access to quick working capital and may not fit the bill for a business fast funding. We offer distinctive funding programs to fit your particular business need. Our business bank statement program allows the businesses future bank deposit receivables to be used for working capital cash that you can use for any business reason. Reimbursements are dependent upon a little altered rate of your future Mastercard receivables. Installments are naturally connected to your remaining offset until the equalization is fulfilled. Not at all like a business advance, our administration is adjusted to the accomplishment of your business: reimbursements are joined to your Mastercard receivables; we don't get paid until you get paid, therefore helping you deal with the money stream of your business, particularly throughout slower months. Go to BRT Financial website to watch small business funding videos to learn more about our working capital service for business cash flow! Working Capital for Small Business is simple with BRT at your side. Managing working capital for small business is not easy. You first have to decide on what sources of working capital for small businesses are reliable. A private lender like BRT Financial is making the right choice. It is simple, if you are asking how to get working capital for small business. It is one page working capital application and bank statements if you need working capital for small business. The importance of working capital in small business can determine life or death of working capital for a small business. Working capital loans for small business with bad credit is ok with BRT Financial. What is working capital for small business ease and a fast loan for working capital in small business. Working capital funding for small business will help you get funds when you need it and quickly. So get working capital loans for small business today from BRT Financial call 904-551-6090. Need Working Capital for Small Business? Managing working capital for small business is difficult but the pressure can be eased when you partner with a private lender such as BRT Financial who will provide business working capital to you and continue to provide working capital for small business. Working capital loans for small business with bad credit is no problem for BRT Financial. If you are looking for great sources of working capital for small businesses than BRT Financial is who you want to partner with. Managing working capital for small business will be easy and fast with BRT Financial at your side. Call today 904-551-6090.
Business Cash Advance Why it is For Your Business! There are many business cash advance lenders but you must be careful who you choose. It is best to go Private lender such as BRT Financial whose cash advance better business bureau rating is an A+. BRT Financial is one of the business cash advance direct lenders. BRT Financial is considered one of the best business cash advance companies around, just read the reviews. There are business cash advance pros and cons and business cash advance companies with an F rating out there and you should be careful of them. Is a business cash advance a good idea, well yes, but again you must choose the right private lender who cares about keeping your business running successfully. You may be saying " What is a business cash advance as oppose to a Bank loan"? Well a business cash advance loan is a fast and easy way to get cash to use for your business needs and to use them as you like and not be restricted by what the Bank tells you how to use the cash. How does a business cash advance work compared to a Bank or how does a business cash advance vs. loan compare? When you get a business cash advance it only requires limited documentation whereas a Bank requires so much documentation that you think you are working for them. Did you know that you can receive an american express business cash advance based on the value of your business cash advance credit card sales? BRT will review your amex business cash advance receipts to see how much you qualify for. There are many benefits of business cash advance- the uses of the funds such as: business cash advance debt consolidation, business fuel cash advance, cash advance for business travel, business cash advance without credit card, business cash advance consolidation, cash advance business trip, cash advance to start a business ( as long as you own another business), merchant cash advance online business, cash advance for business trip. Business cash advance services and features include: easy business cash advance, business cash advance for bad credit, immediate business cash advance, business cash advance loans no credit check ( for some borrowers), cash advance through business credit card, ach business cash advance, business cash advance no credit cards, business cash advance no credit check, business cash advance no credit card sales, merchant cash advance unsecured business loan. A merchant cash advance business opportunity is not something you want to miss out on. A merchant cash advance business model is perfect for every business needing fast and easy cash. A new business merchant cash advance is possible after you have 3 months of bank statements available for new business cash advance loans. Business cash advance Florida is available in US for every state. Cash advance for business owners are the quick business cash advance way to get a rock bottom business cash advance. Top business cash advance companies, like BRT Financial, provide unsecured business cash advance and business cash advance with bad credit- it is a great way to get a rapid business cash advance for a small business cash advance loans. So if your cash advance business plan is to get a rapid business cash advance or you need a small business merchant cash advance than call BRT Financial today at 904-551-6090.